News - Analco Auxiliar Calzado, S.A. This is a new technology which applied to our polyurethanes of the latest generation, allows us to offer PU soles without the characteristic bubbles of this material.This technology results in outsoles with a warmer handle. This increases the perception of the quality of the outsole and of the shoes created by you. If you already know us you are probably aware that our commitment to the R+D is a constant. We can’t wait to introduce you the NBT (No Bubbles Technology). This is a product of our effort to conquer and lead the development of new materials and applications. This new technology allows us to propose polyurethane soles with footprints and textures that are more aggressive and are better defined. This improvement is mainly intended to those footwear manufacturers and shoes brands that require to take maximum care of the details, therefore they need soles suppliers, which can be able to guarantee the highest level of quality demands and finishing in any component. If you would like to have more information, please come and visit our stand at Lineapelle, where we’re going to introduce some of the new innovations, which certainly will get people talking. suelas de poliuretano de última generación sin burbujas fabricadas con nuestra tecnología exclusiva NBT. The company Analco Auxiliar Calzado, S.A.U., since its foundation in 1970, has paid a special attention to the needs of footwear manufacturers. The company is specialized in the production of soles and footbeds that combine “quality, technology, service and innovation”. Analco products boast a high level of quality after having undergone rigorous quality controls in own laboratories and in the most prestigious institutes such as the Biomechanical Institute of Valencia (IBV) and INESCOP. A firm commitment with specialization and the continuous research and development of new products have been Analco’s magic recipe to be European leader in the footwear components sector. A year and a half ago it was necessary to stop and think about the future. A strategic plan began to be developed. The company vision and the strategic lines to be followed in the next years are result of it. To survive in a highly changeable global environment, capacity of create and deliver innovative products which satisfy the demands of the market is what distinguishes a competitor. It is necessary to optimize the product development process and to implement systems to be more responsive than competition and be able to take advantages of competitive opportunities. 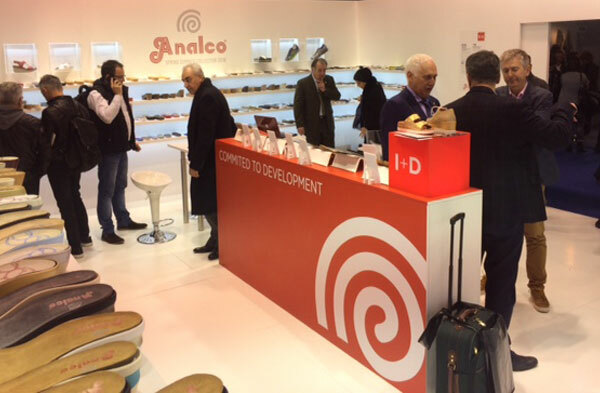 In the words of Ms. Maite Alonso (R+D Manager), “Analco’s vision is to be a leader in production and sales of shoe components to an European level, through continuous improvement of our products and procedures, creating and offering innovative products. The way to do this is through creation of two departments: Product Development and Marketing, that work together are able to satisfy and be ahead of the market trends. By the first time this company took part in the LE CUIR A PARIS show that took place in February from 12th to 14th at the Paris Nord Villepinte exhibition grounds, where the spring/summer 2014 new collections were showed. At the transition into the new season we have new things to show and we would like to highlight the innovations in materials and finishes, the specific sections on our website or on the social networks dedicated exclusively to hear your opinion, your needs or to know about your projects and ideas. 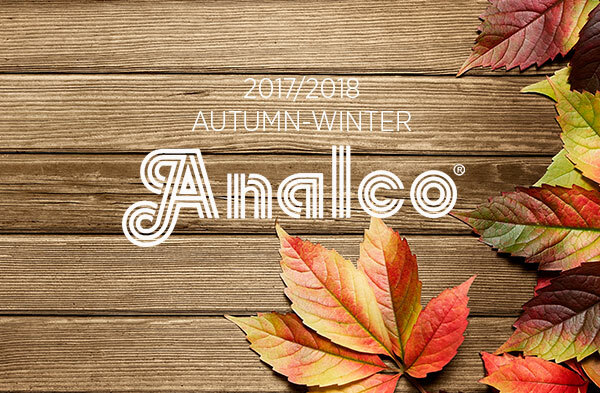 Let’s start with the presentation of our new corporate catalogue of Analco, where we describe in a clear and basic way the technical and productive capacities you can profit from. A few days ago we received a call from AEC (Spanish acronym for SPANISH ASSOCIATION OF MANUFACTURERS OF FOOTWEAR COMPONENTS) to notify us that we are finalists of the III National Fashion Awards in the category of textil, tanning, raw materials and components industry. This award is conferred by the Spanish Ministry of Industry, which describes the nominees as “people, institutions, organizations and companies that have made substantial efforts to achieve business excellence in fashion industrie”. We have to say that this kind of awards are not among our main motivations. What we really like is to exceed our client’s expectations and even more to see how satisfied are the final customers………. In any case, we are proud of it! Thank you very much! We would like to share with you some of the new developments that we have launched for the Winter Season 17/18. We have tried to cover as many as possible fashion and comfort segments, using materials from the production lines which we command to perfection, such as rubber, polyurethane, E.V.A. or thermoplastic rubber. We have focused attention on technical issues like bi-density and bi-coloured soles which allow us to make ANTISLIP outsoles since we know that this has growing interest in the market. And of course we have not overlooked the demands of the current trends. That’s why you will find big platforms, joggins, medium blocks, comfort and plane models that will be a big help in the design of your collection. Do not hesitate to contact our sales team or to visit our showroom.